This sounds totally YUMMMOOOOOOOO. I’ll definitely make both! Yes, halibut is another idea! 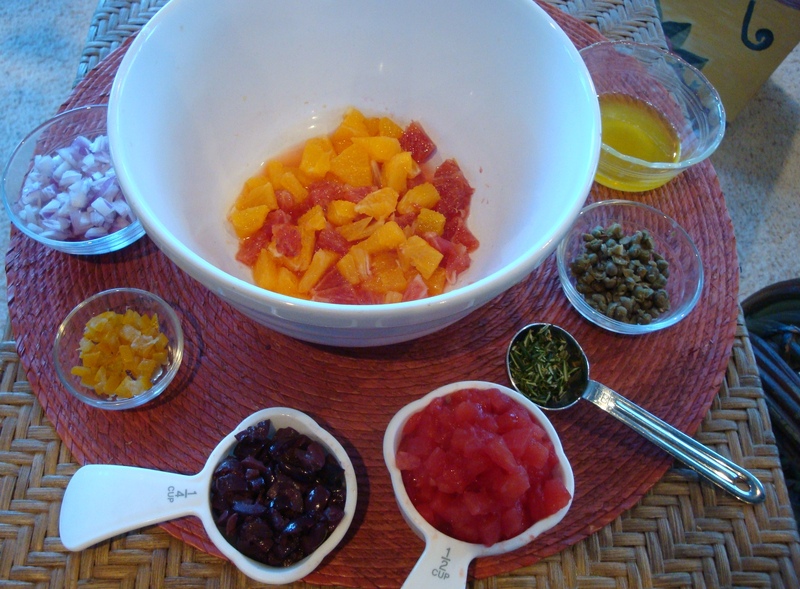 Do you think it would still work without the olives and capers (don’t really like) – or do you recommend a substitution? 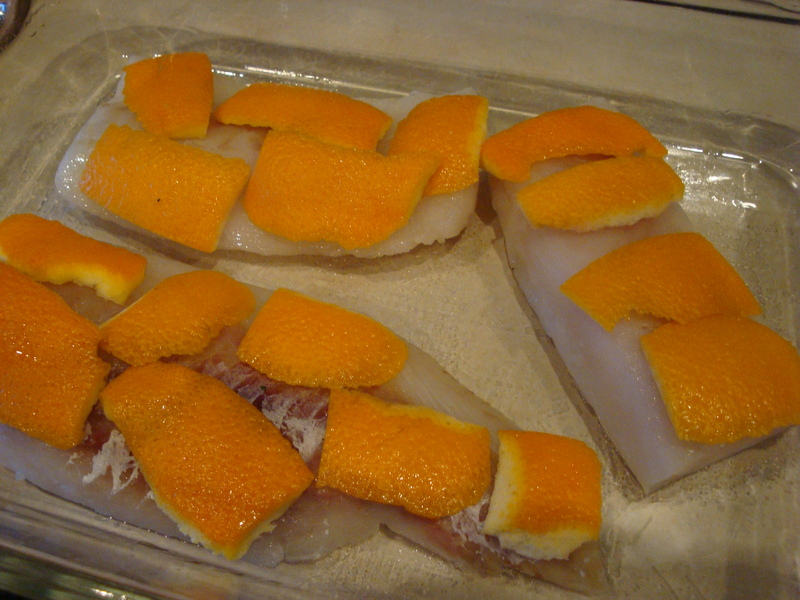 Hi Ahs – halibut works great with this dish, but I usually go for cod cuz it’s a lot less expensive! I think you should at least try this with the olives. They blend with all the flavors and provide a great saltiness, but aren’t a prominent flavor. I even have the right amount you would need right now in my fridge if you want to come by and I could give you some preserved lemon peel :-). You could easily omit the capers. 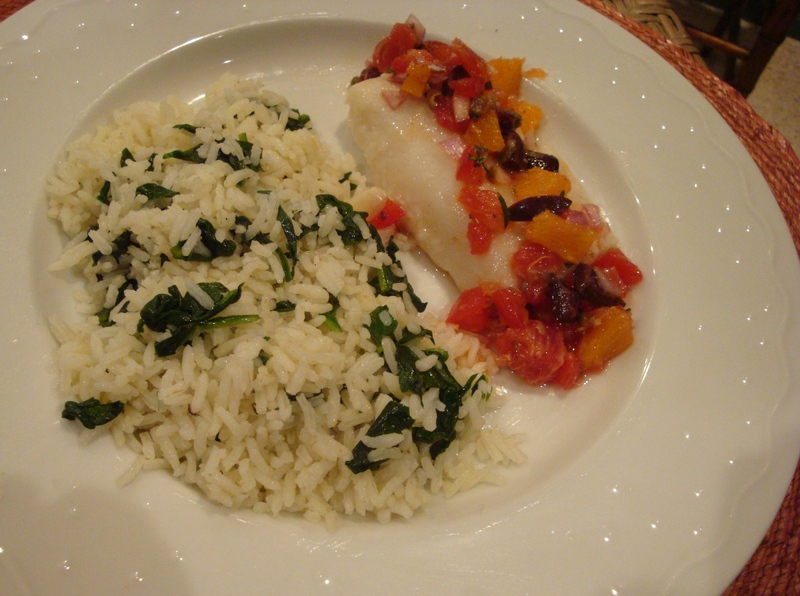 If you use the kale in this rice, you will need to steam it first. It takes a lot longer to cook than spinach or arugula. But I think it would be delicious!